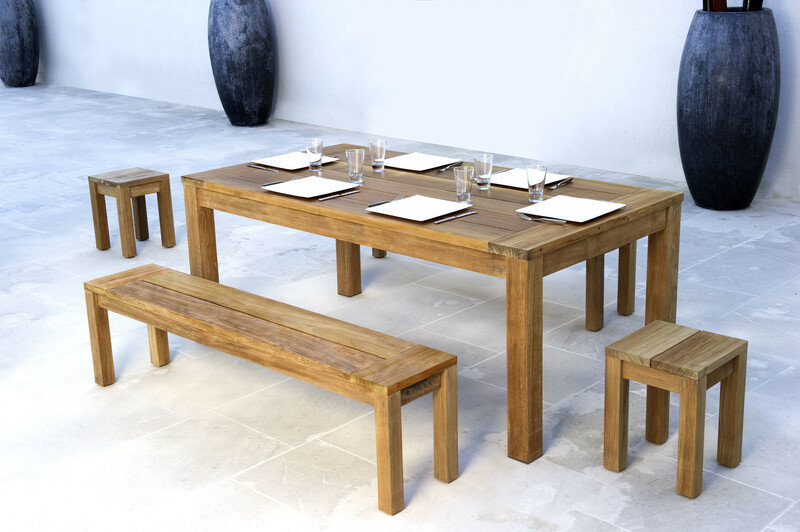 The Stafford Teak Dining Collection by Les Jardins is a modern classic beauty of Grade A plantation teak. Durably constructed, this collection is naturally weather resistant and offers a sophisticated clean profile with a warm inviting feel to a patio setting. This collection is available in natural teak or with a weathered grey finish.